Working Together, We're All Stronger! 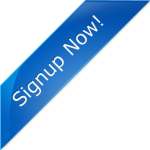 Enjoy Membership Benefits Join REAOC Signup Today! At its February 19, 2019 meeting, the Board of Retirement approved a 4 percent cost-of-living adjustment (COLA) increase for retirees and eligible survivors. Eligible payees will see a 3 percent increase to their benefit with the additional 1 percent going into their COLA Bank. The Orange County Juvenile Justice Commission is currently accepting applications for new commissioners. For more information please contact the JJC Administrative Officer at 657-622-5578 or visit http://www.occourts.org/directory/juvenile/jjc/. The Orange County Juvenile Justice Commission (JJC) is a mandated group of private citizens who perform a variety of advocacy and regulatory functions on behalf of the youth involved in the juvenile justice system. The JJC is empowered by the California Welfare and Institutions Code (WIC), Sections 225-231 to “inquire into the administration of juvenile court law.” The JJC adopts a goal-oriented and proactive approach in meeting its responsibilities throughout the year. The candidate should possess the integrity and motivation to perform the duties in an objective, fair and honest manner. If you are interested in applying for the position as a commissioner, please contact the Juvenile Justice Commission at (657) 622-5578 or visit their website shown above and click on the “Commissioner Application” item on their page. A class-action lawsuit that could cost CalPERS $1 billion is headed to trial in June, and many of the 122,000 retirees who bought an insurance plan at the center of the case are receiving small checks from an agreement that settled a portion of the claims. The lawsuit stems from a series of rate increases that CalPERS adopted for long-term care insurance beginning in 2013, peaking with an 85 percent rate hike in 2015. CalPERS says in its most recent appeal that it would raise rates on the plan by 124 percent if it loses the lawsuit. Mike Bidart, the lead counsel in the CalPERS LTC lawsuit, contends that the structure of the rate increases breached the contracts people signed when they bought the policies beginning in 2003. Those agreements included assurances that rate hikes would be spread among those who bought long-term care insurance, and that people who bought inflation protection policies would not see their rates increase because of expanded benefits, according to court documents. A Los Angeles County Superior Court judge on Friday set a date for the main trial, known as Sanchez. vs. CalPERS. The three- to four-week trial is scheduled to begin on June 10, 2019. Michael Bidart anticipates that the trial will go forward as scheduled. He would like to have as many of the representative members of this class-action lawsuit attend each day of the trial. As many REAOC members may have purchased the LTC insurance while they were actively employed, we wanted to share this information with you so that you may attend the trial if you wish to do so. If you move, get a new or change your e-mail address or telephone or if you have a name change, there are actions that are necessary so that you continue to receive your benefits, newsletters, e-mails, etc. If any of the above pertains to you, you need to notify REAOC, the Orange County Employees’ Retirement System (OCERS) and the County of Orange Employee Benefits Center with the new information. To contact REAOC – call (714) 840-3995 or click here to e-mail with the new/changed information. To contact OCERS – call (714) 558-6200 or click here to go to their website and sign-into “MyOCERS” to update your information. To contact the County of Orange Employee Benefits Center – call (800) 858-7266 or click here to go to the benefits website. Click here to read the latest Informer newsletter. Click here to read the latest newsletter from the California Retired County Employees Association (CRCEA). 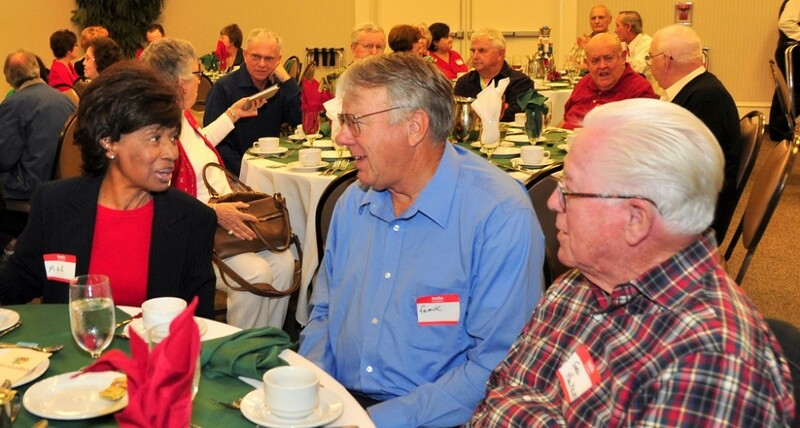 REAOC luncheons are held for the purpose of bringing Orange County retirees together for an afternoon of camaraderie, entertainment, and information. Friends and family are always welcome! Each luncheon features a different theme, with door prizes, and special gifts. As an added bonus, there is a valuable Progressive Drawing. They also serve as a general meeting for the membership. The Mile Square Park Banquet Facility located at 10401 Warner Ave., Fountain Valley, California, 92708. For directions, call the Mile Square Banquet Facility at (714) 962-5541 or see map below showing where the Facility is located. Please DO NOT call the Facility to make reservations. Reservations are made by sending in the reservation form in The Informer or by calling the REAOC office at (714) 840-3995. Luncheons are held the 4th Wednesday of January, March, May and September, and on the first Wednesday of December at Noon. To ensure a parking spot please arrive by 11 a.m. Please carpool if possible as the parking lot at this facility can be quite busy. Please Note: Reservations by phone or mail for the May 22nd luncheon must be at the REAOC office by Wednesday, May 15th, 2019. Cost for the luncheon is $17.00 per person. A reservation form is provided in The Informer (on the current Luncheon page), in the “Forms” section of the REAOC web site or you may email the REAOC office of your request (reaoc@reaoc.org). Luncheons in Hemet have been traditionally held on the second Tuesday during the months of February, April, June, October and December. Attendees arrive around 11:30 a.m. at the First Presbyterian Church in the Fellowship Hall located at 515 E. Kimball Avenue in Hemet and lunch is served between 11:45 and noontime. The cost is $9.50 per person. The Hemet Chapter would like new members and encourages all REAOC members who live in the area or within driving distance to join them for the luncheons. REAOC’s Hemet Chapter will hold its next luncheon on Tuesday, April 17th at 11:30 AM at the First Presbyterian Church in the Fellowship Hall located at 515 E.Kimball in Hemet. Make your reservation by calling Mary Little at 951-485-7738 or Jane Pabitzky at 951-237-3240 by no later than April 10th, 2018. Below is a map showing the general location of the Mile Square Park Banquet Facility located at 10401 Warner Ave., Fountain Valley, California 92708. If you have any questions regarding your health plan, please contact the County’s Employee Benefits section at (800) 858-7266. For information about the supplemental insurance including dental and vision coverage, please click on the link below. Stay in touch with REAOC.